The IMNDA is delighted to announce that we have been awarded the Triple Lock Status for 2017. This has been bestowed on us as we demonstrated that our charity always upheld the highest standards in transparent reporting, good fundraising and governance. It is a mark of openness, transparency and integrity. This seal of approval recognises the good work we have always done in the IMNDA. Our board has formally adopted the Guidelines for Charitable Organisations on Fundraising from the Public. Our staff, volunteers and anyone else fundraising on our behalf are fully trained on the requirements and we have implemented controls to ensure that all our fundraising practices are fully in line with the “Guidelines” and any related Codes of Practice. We also review and report annually on this compliance. 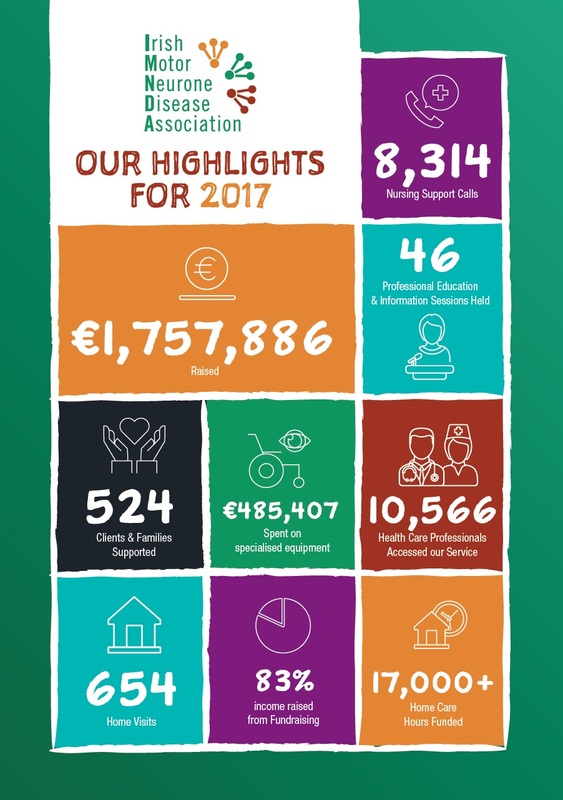 We prepare an annual report and financial statements in full compliance with the Charity SORP (Standard of Reporting Practice under FRS102) – see above. Our board has formally adopted and publicly signed up to the Governance Code for the Community and Voluntary Sector (or another Governance Code). We have adopted the recommended practices under each of the five principles of good governance as appropriate. This involves constant review and self-evaluation to ensure we are always in compliance. Coleraine House, Coleraine Street, Dublin 7. Tel: 01 873 0422. Freefone: 1800 403 403. 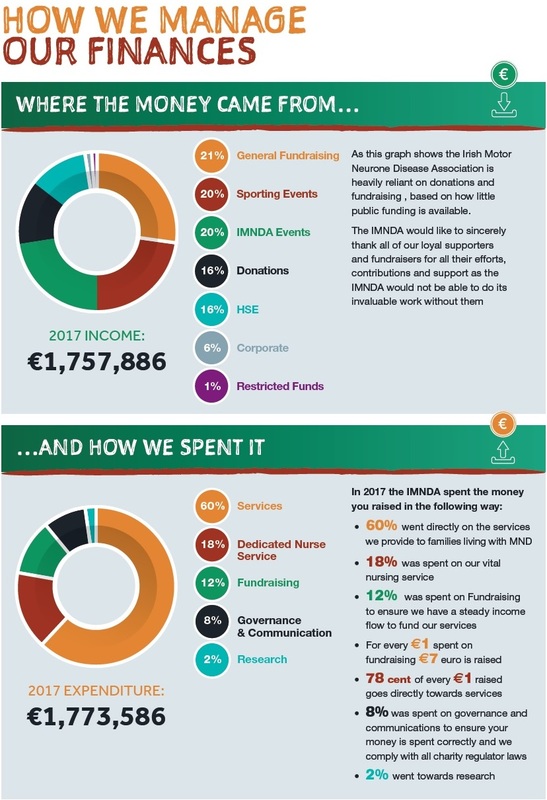 © 2019 IMNDA | Irish Motor Neurone Disease Association.